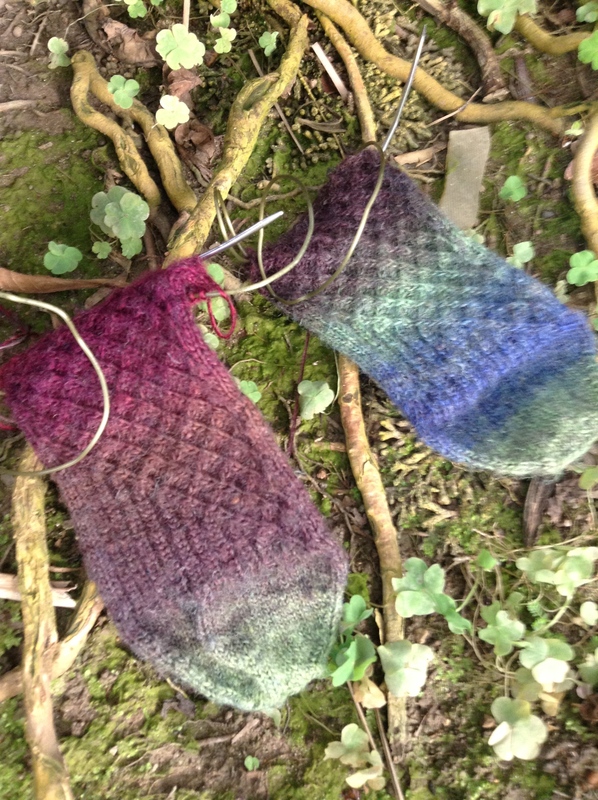 For my darling little sister: some socks in a local handpainted superwash wool. 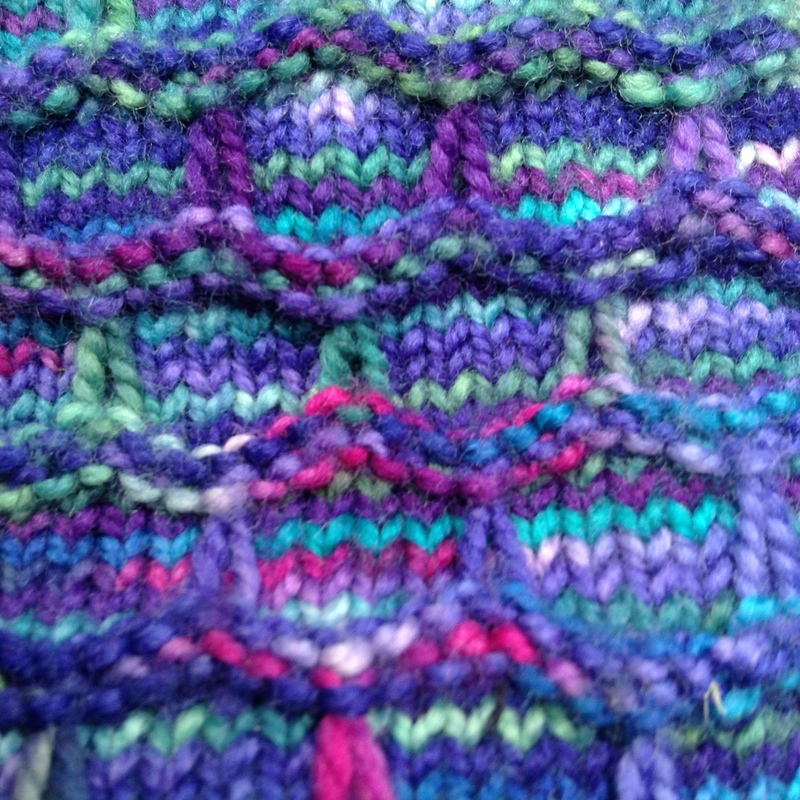 The pattern is V-Junkie from Alice Yu. 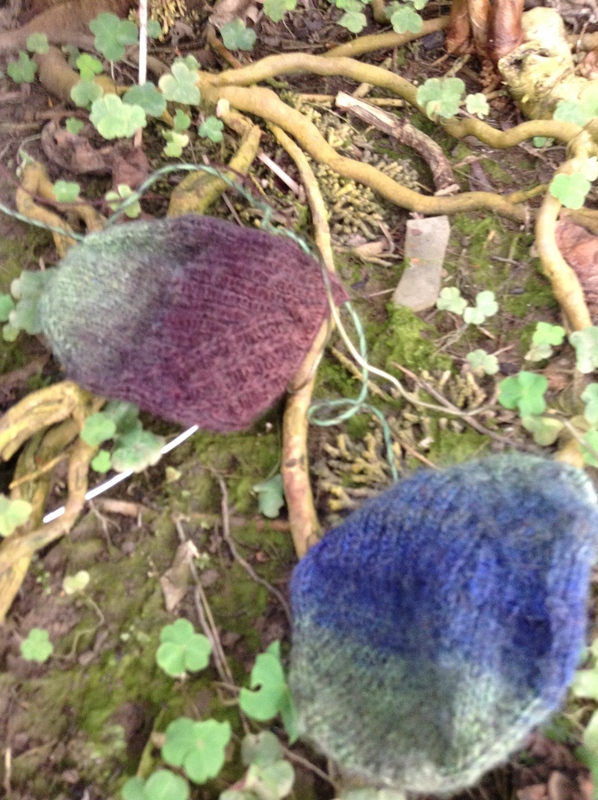 I got tons of compliments on the yarn and pattern while I was knitting these. 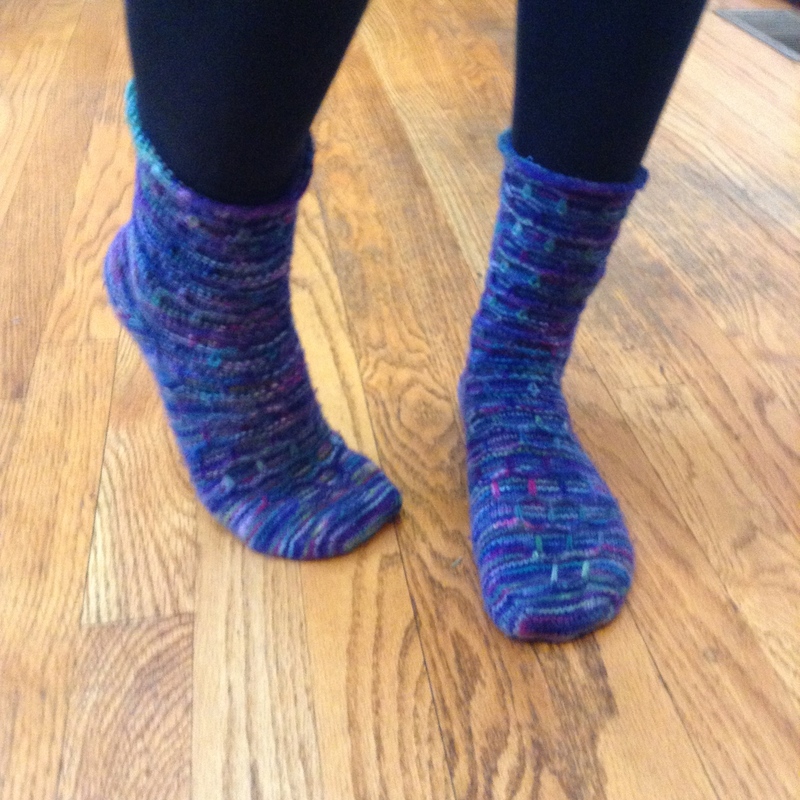 Bonus feature: I always knit socks in my classes, and this was the PERFECT in-class knit. 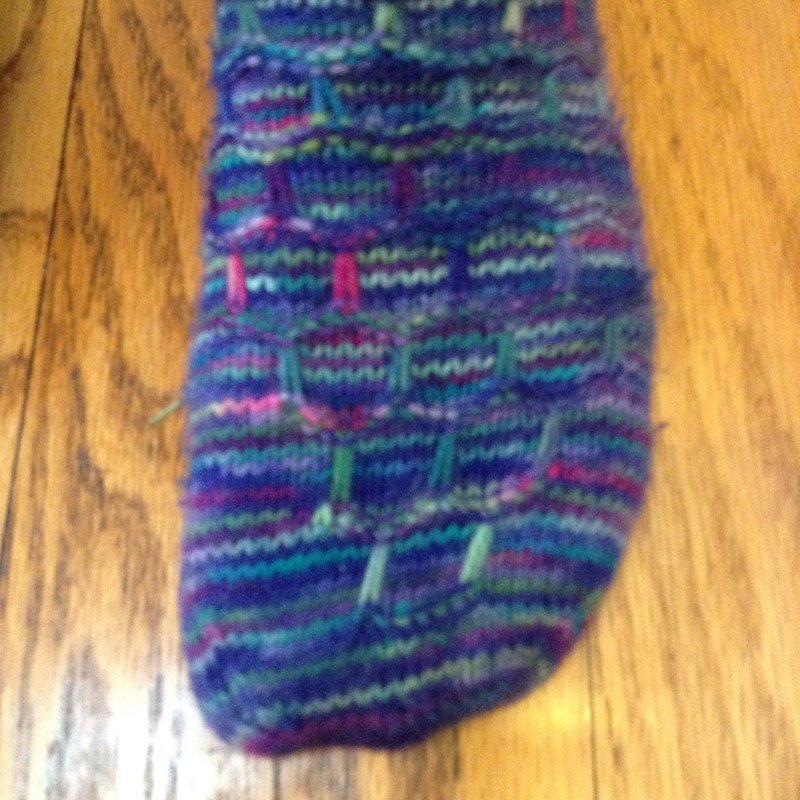 More interesting than stockinette, but easy enough to knit by feel. Alice Yu is a sock hero. 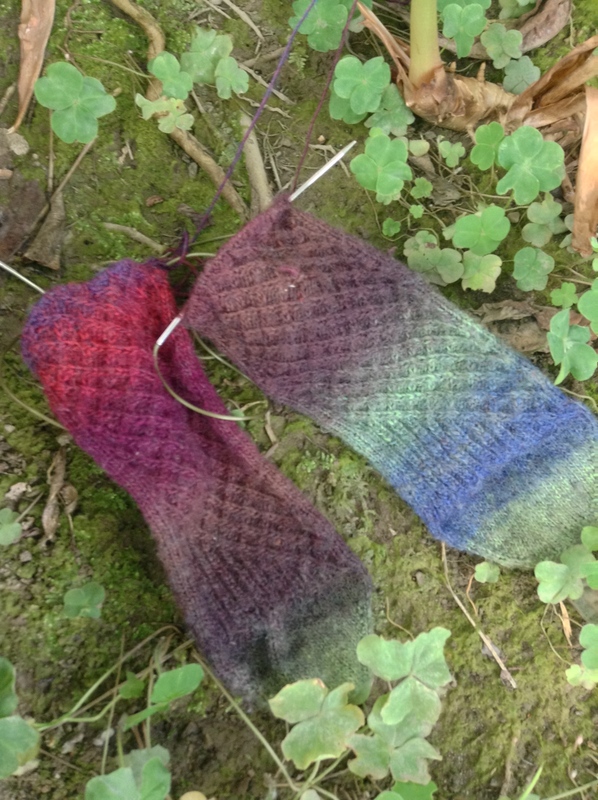 This may be my favorite pair I’ve ever knit… so far.